Make signature Italian hoagies with this Daniele 3 Ib. 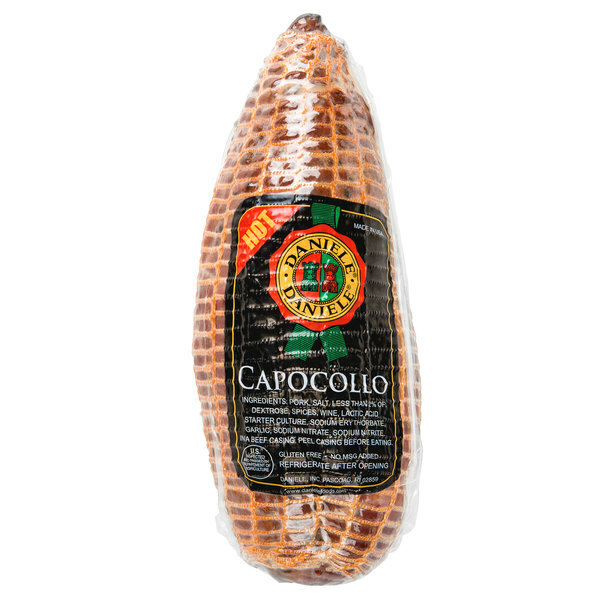 hot capocollo. This traditional Italian and corsican cut of pork is taken from the muscle between the neck and fourth rib of the pork's shoulder. Dry cured and then aged for up to 4 months, this cut is covered with a special blend of spices and paprika for a spicy deli meat bursting with flavor. Plus, it comes ready to slice and serve to hungry customers for added convenience. Originating from Italian cuisine, capocollo is the perfect accent in antipasto settings as the first course of a formal meal. Combine it on a plate with fresh vegetables, provolone cheese, pickled meats, and oil or vinegar for a savory appetizer your guests will love! Additionally, it's great to pile high on Italian hoagies or with melted mozzarella cheese inside a panini. You can even add it on top of a pizza for a boost of protein and flavor. Family owned and operated since 1945, Daniele, Inc., is dedicated to time-honored Italian traditions to bring authentic, quality products to your table. 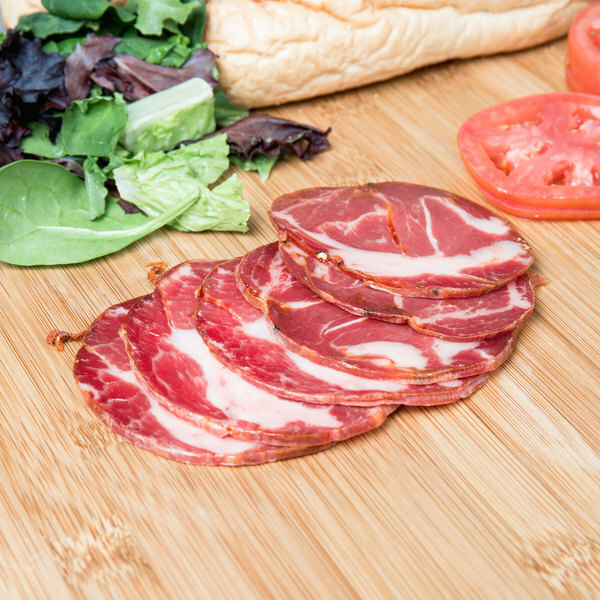 Specializing in gourmet Italian meats ranging from their famous Del Duca® prosciutto to mortadella, salami, sopressata, pancetta, and more. Daniele, Inc. is proud to be a third generation company based in the United States. From humble beginnings and the challenges of coming to America to start a business, Daniele, Inc. products can now be found in the finest delis and supermarkets throughout the country. Add a taste of Italy to every dish with Daniele, Inc. specialty meats!